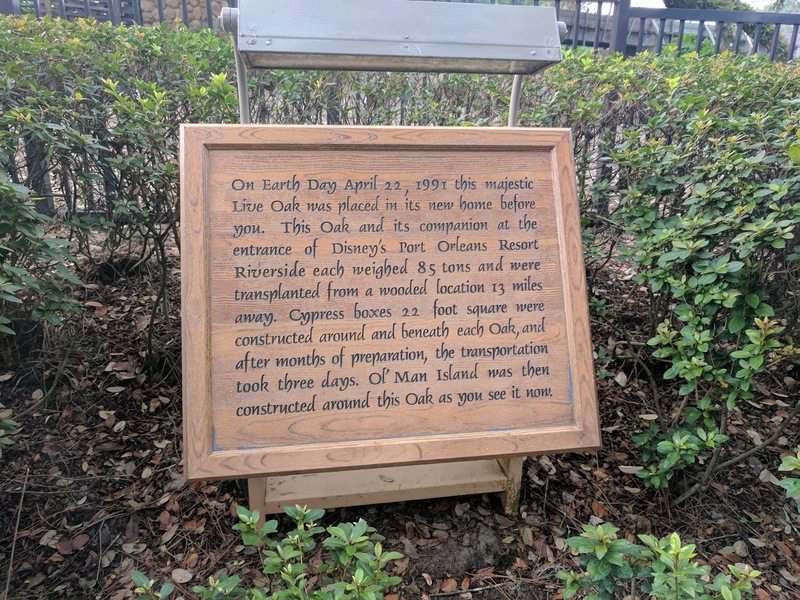 On Earth Day April 22, 1991, this majestic Live Oak was placed in its new home before you. This Oak and its companion at the entrance of Disney's Port Orleans Resort Riverside each weighed 85 tons and were transplanted from a wooded location 13 miles away. Cypress boxes 22 foot square were constructed around and beneath each Oak, and after months of preparation, the transportation took three days. 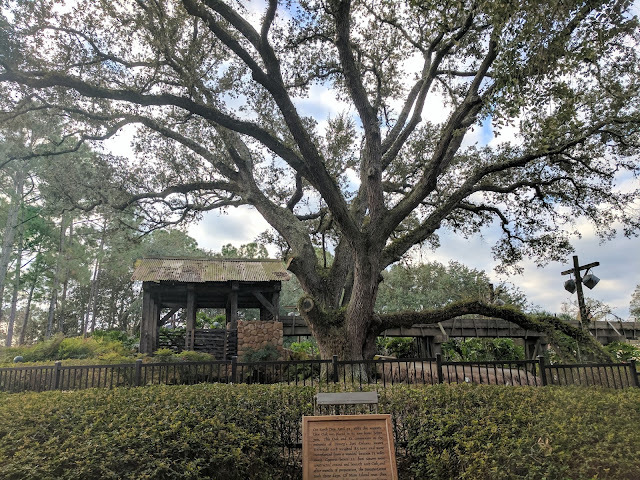 Ol' Man Island was then constructed around this Oak as you see it now. Three days! To move them just 13 miles. Pretty incredible. Take a look at this beauty. You can see a few knobs on the trunk where they've cut off some of the branches - which I'm thinking were some of the more horizontal-growth ones - but you can still appreciate the majesty of this thing. There are people posting on various tree forums about how they've planted one of these in the northern climates and it seems that someone has (at least at one point) been successful. Others are recommending people look at the Burr Oak Tree, which has similar characteristics of the Live Oak, but has the ability to survive in Hardiness Zones 3-8 (including our #5 in Northern Illinois! ).